This observation of Michael’s has resonated with me ever since, and experience confirms it. On an emotional level, to be included or excluded in a group, to feel inside or outside, is a powerful experience from childhood through the rest of our lives. None of us wants to be left out, but we also don’t want to include everyone in everything. We want to be loved, but we also want to know that the love we give and receive is special. On a cognitive level, we are constantly grouping together–creating in and out–all the time. As infants we begin to label people and things as in or out, this or that, same or different. As we get older, we get more sophisticated, but the move is the same: we group like with like, or we creatively mix like with not-like, or find ways that things that seemed to be different actually have a lot in common. A computer, at its core, comes down to 1 versus 0. Rashi and Ramban famously diverge in their interpretation of the words kedoshim tih’yu, “you shall be holy, for I the Lord your God am holy” (Lev. 19:2). Rashi interprets kedusha as separation from other things, while Ramban emphasizes the likeness that results from this move: kadesh atzmecha b’mutar lach, sanctify yourself within that which is permitted to you. Both begin with the act of separation. But where Rashi sees the thrust of the command on separating not-holy from holy, Ramban puts more weight on unifying the holy with the holy. One emphasizes the power of difference, the other emphasizes the power of similarity. We can’t escape the divisions that make up our lives. We are physical creatures, limited in space and time. We can’t be in two places, or two times, at once. We are always outside something. And yet we have moments when we can transcend reality, and imagine ourselves as occupying more than one space and more than one time, when we can be inside everything. Throughout his drashot, the Sefas Emes draws on Shabbat as the embodiment of this kind of transcendent consciousness: a day of unification, when we step outside the time and space that define the regular material world. Shabbos enables us, for a moment, to go beyond the question of membership, to go beyond the inside-outside dichotomy. It is the full expression of kedusha according to both Rashi and Ramban: a day apart that is actually a day when we come together, when we sense that we are part of an exclusive club, of which everyone is a member. An unusual occurrence will happen in traditional synagogues around the world this Shabbat. During a regular Shabbat morning service, we take out one Torah scroll from the ark. When Shabbat coincides with Rosh Hodesh, the new moon, we take out an additional Torah scroll, from which we read a passage from Numbers 28 that details the communal sacrifice offered in the ancient Temple on Rosh Hodesh. Rosh Hodesh falls on Shabbat one or two times a year, so this isn’t terribly unusual. The coincidence of Rosh Hodesh and Shabbat HaHodesh prompts us to think about the observance of Rosh Hodesh itself. “The LORD said to Moses and Aaron in Egypt, ‘This month is to be for you the first month, the first month of your year'” (Ex. 12:1-2). As Nachmanides reminds us, “This is the first commandment that the Holy One Blessed Be He gives to Israel through Moses.” Indeed, Rashi’s very first comment on Genesis 1:1 points to this verse, as he asks why the Torah, which is after all a book of law, doesn’t simply begin here. So this verse is important. While the main emphasis of Exodus 12, and the primary reason we read it just before Passover, is its instructions for preparing the Pesach sacrifice, the fact that the verse begins with the institution of Rosh Hodesh is significant. Slavery operates not only in physical dimensions, taking away the slave’s ability to freely act; it also affects the dimension of time. A slave’s time is not his own. Thus a basic aspect of freedom is the freedom of time, the freedom to set the calendar, to order the world in our own way. So the first act of liberation for the Israelites is God’s granting them the ability to name time on their own. This continues to be on of the key aspects of Rosh Hodesh in Jewish history. The Talmud devotes an entire tractate, Rosh Hashanah, to the laws about declaring Rosh Hodesh. The New Moon does not simply happen on its own, at least not in classical Jewish law. It has to be witnessed, and the witnesses have to testify in the rabbinic court that they have seen the new moon. Then the court declares that the month has started. So powerful is this human dimension in making time that the Talmud recounts that one year the angels in heaven were all assembled for Rosh Hashanah, but since the court did not declare the New Moon that day, they packed up their things, went home, and came back the next day for the holiday. And yet this freedom of time is not absolute. As the Torah reading for Shabbat-Rosh Hodesh reminds us, Shabbat comes every seven days whether we like it or not. While we acknowledge the start of Shabbat by lighting candles and reciting Kiddush, the power of those acts is not the same as the declarative power of the witnesses and the court regarding Rosh Hodesh. In this sense, Shabbat reminds us that our freedom is not a freedom to do whatever we like; it is rather a freedom to be servants of God. It is also a reminder that, at the same time as we stand over against nature (what Rav Soloveitchik referred to as an Adam I consciousness), we are also creatures of nature (Adam II). We can name natural phenomena, manipulate them as we construct our world (as we do on some level with the moon and creating the calendar through Rosh Hodesh); but we also exist within nature and accept our place within it with humility–not as slaves, but as free people. Rashi quotes the Midrash Mechilta as noting significance to the fact that God instructs Moses and Aaron “in the land of Egypt,” meaning outside of the city. Why? The Mechilta states that the city was full of idolatry–whereas beyond its boundary was a place where God’s word could be heard and experienced. In this small way, the Torah seems to gesture at the idea that the liberation from Egypt was a kind of re-creation of the world, as Moses and Aaron must go back to a natural place to hear God’s voice. Every Rosh Hodesh since then is a time of renewal and restarting–not only of the lunar cycle, but of our own lives. Shabbat shalom, and Hodesh tov. 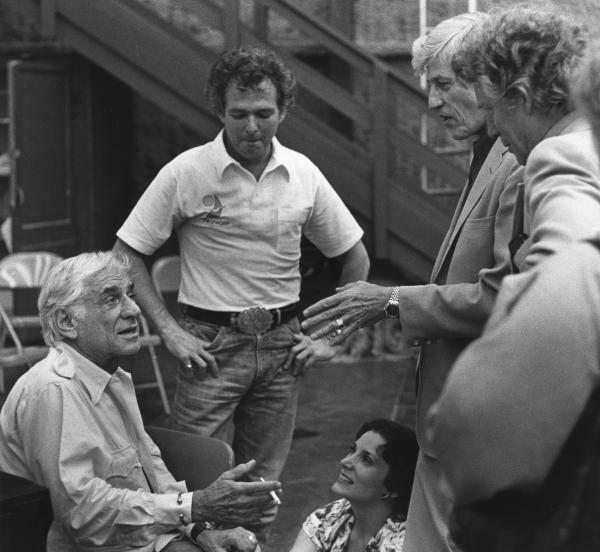 Leonard Bernstein practicing the art of teaching. My blog passed 50,000 lifetime hits this week. (The word ‘hits’ is a little problematic. Let’s call them visits.) So before I begin, thanks to everyone who has read my posts over the past several years to enable me to reach this milestone. When I first started this blog, one of my favorite philosophers to quote from was Vladimir Jankelevitch. But our reading habits, like our writing habits, change over time, and I haven’t quoted from Jankelevitch in a while. One of my favorite quotes of his, which I’ve used before, has to do with repetition: “To recreate… is to create, just as to re-make is to make, to begin again to begin–the second time being as initial as the first, the recapitulation as initial as the exposition… Hearing again, playing again, become modes whereby to discover, interminably, new relationships or subtle correspondences, beauty kept secret or hidden intentions. It shouldn’t be surprising that these lines are heavily underlined and commented-upon in my edition of Jankelevitch’s book Music and the Ineffable (p. 24). In the nearly ten years since I first read them, they have, fittingly, provided me with a beautiful way of expressing how it is that we learn Torah. We read the same Torah every year, and one could easily say, “Okay, I’ve read that book. What’s next?” But that’s not what we do. We read and re-read and re-read again, and we do so with a different approach than mastering the text. This is not a text to be mastered. This is a text we allow to master us. Not in the way of a slave (though we do call ourselves “ovdei Hashem,” God’s servants), but in the way that learning takes place between a master and a disciple: through a mutual, respectful, rich learning relationship. And more: in meeting the text again time after time, we come back to it altered by our own experience. Our reading is not fixed from year to year–it changes and grows. We are different every time we meet the Torah, and in the meeting between ourselves and the text, the Torah is renewed. Repetition is perhaps the most striking feature of parashat Vayakhel-Pikudei. Word-for-word, it seems, the parasha recapitulates the earlier material in the parashot of Terumah and Tetzaveh, this time in Moses’s voice rather than God’s. Part of the message of this meticulous repetition is that this work is eternal, that this is not simply a statement about the work of building the tabernacle, but really it’s a statement about the work of life itself. The work of building the Mishkan is to be a metaphor for all of our labor: it should be voluntary, it should be willful, it should be purposeful, it should not be exploitative. Just as Shabbat functions to make the work of the Mishkan meaningful, so too for our own lives: by keeping Shabbat, we frame our labor of the six days of the workweek. The repetition here serves to cement this point. But there’s also a message that spending time on the enduring, not simply on the new, is a valuable, even an essential activity. We come back to our families, we come back to our communities, we come back to Torah, and we rediscover one another–we’ve stayed the same, but we’ve also changed. The message here, as my rebbe in conducting Larry Livingston taught me years ago, is the value of a craft: Life should be something we work at for a long time, slowly getting better, slowly becoming a master. Mastery, the main ingredient of which is wisdom, doesn’t happen overnight; it takes time. But it also doesn’t happen in isolation, it happens in community. It happens through regular renewal, which comes through conversation and reflection around a great and eternal thing–in our case the Torah and Jewish ritual, the centerpieces of the Mishkan. There are subtle changes in this week’s parasha from its predecessors. One of them comes in chapter 35, verse 34: “And he has given both him [Bezalel, the master builder of the Mishkan] and Oholiav son of Ahisamak, of the tribe of Dan, the ability to teach others.” This verse was not present in the previous account, thus its inclusion here seems even more significant. One could read the preceding verses of chapter 35 as suggesting that the talented people among the Israelites simply put their talents to work and created all the items necessary for the Mishkan. But verse 34 suggests that Bezalel and Ohaliav not only created and supervised the building, they also taught. They helped people to learn, to develop their talents, and to find their place in the work of building the community. If only the talented were allowed to make things, many “whose heart moved them” would be left on the sidelines. The capacity to teach, which itself must be taught and cultivated through mastery and craft and repetition, is an indispensable element for the community-building project that is the Mishkan. Amidst all the excitement and drama of the story of the Golden Calf, chapter 31 of Exodus can often be overlooked. Where chapters 32-34 tell the story of the people’s rebellion, Aaron’s mistake, Moses breaking the tablets, God’s punishment, and Moses seeking and finding God’s forgiveness, chapter 31 seems quaint, a quiet ending to the preceding six chapters detailing the instructions for building the Mishkan. In chapter 31, God tells Moses that he has appointed Bezalel, and his assistant Ohaliav, as the master builders for the Mishkan. “And I will fill him with the spirit of God, with wisdom and understanding and intelligence, and with every form of labor; to think and conceptualize, to work with gold and silver and copper, with stone-cutting and wood-cutting, with every type of labor.” (vv. 2-4) They will make all the items for the Mishkan, which God proceeds to review in summary. That’s the first part of the chapter. There are a number of important things to point out here. First, as is made even more transparent at the end of Exodus, is the parallel between building the Mishkan and the original six days of creation in Genesis. Just as humans are the last beings created during those first six days, here it is the human, Bezalel (from b’tzelem elokim, in God’s Image, cf. 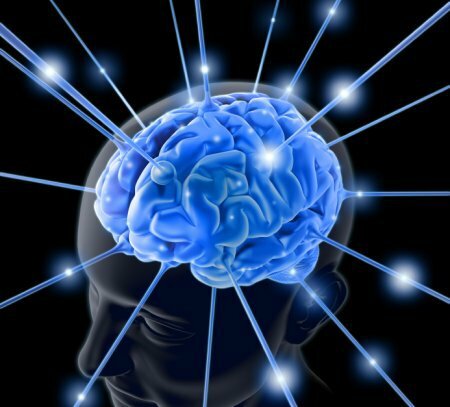 Gen. 1:27), endowed with special capacities to operate on both the level of thought and the level of action, who is mentioned last. Likewise, Shabbat, which is mentioned last in the opening account of Genesis, is mentioned last here: “For in six days God created the heavens and the earth, and on the seventh day God rested and was restored.” (v. 16) Shabbat becomes the means by which the work of making the Mishkan is made meaningful: “On six days shall labor [in building the Mishkan] be done, and the seventh shall be a holy day of rest” (v. 15), just as it is the day on which the work of creation is made meaningful. These two observations are linked, fused, in the final verse, in which the tablets “written with the finger of God” are given to Moses. God does not create the world here; God creates a form of communication in which human beings, using all their divinely-given powers of thought, imagination, understanding, and action, can attempt to understand the nature of the world, the nature of their own existence, and the nature of God. That language is Torah. Like all language, it is the zone in which we mediate the physical and the metaphysical, the ideal and the material. The work of constructing the Mishkan is the work of life, taking physical material and putting it to useful and holy purposes. The observance of Shabbat is itself an ot, a symbo,l in the dimension of time, which changes our very interactions with the physical world: what was permitted a moment before Shabbat becomes prohibited the next, through our willing participation in making Shabbat real. These questions, of how we relate to God through the material reality of the creation, receive their most dramatic exposition in the chapters that follow, as the people construct an idol. We are familiar with that story. But in this short chapter just before that moment, we hear an inspiring calling: to work with purpose, to rest with intention, and to allow Torah to be the language in which we explore what is true and meaningful in the world. One of the keywords of Parshat Beshallach is really two words with the same root. The first is milchama, the Hebrew word for war. The second is lechem, which means bread. The opening verses of the parasha set the stage for the final battle between God and the Egyptians: “When Pharaoh sent the people out, God did not lead them on the road through the Philistine country, though that was shorter. For God said, “If they face war, they might change their minds and return to Egypt.” So God led the people around by the desert road toward the Red Sea.The Israelites went up out of Egypt ready for battle” (Ex. 13:17-18). This last clause, describing the Israelites as chamushim, ‘ready for battle,’ is extraneous–the text could read just as well without it. The commentators point to several possibilities for its inclusion: the verse explains how the Israelites were prepared for making war against Amalek (which will happen later in the parasha); or, famously, that the word chamushim indicates that only one-fifth (chomesh) of the people came out of Egypt. But I would argue that the clause serves two additional purposes. First, it marks a fulfillment of Pharaoh’s original concern back in chapter 1 of Exodus: “‘Look,’ he said to his people, ‘the Israelites have become far too numerous for us. Come, we must deal shrewdly with them or they will become even more numerous and, if war breaks out, will join our enemies, fight against us and leave the country'” (1:9-10). While it sounded crazy at the time, it turns out Pharaoh was right: the Israelites have indeed left Egypt, and now they’re ready to do battle against him. Second, the emphasis on milchama here presages Moses’s dramatic announcement to the people just before the sea is split: “The LORD will fight for you (yilachem lachem); and you will be silent” (14:14). It is not the Israelites who fight; rather it is God. And thus they sing, “Adonai ish milchama,” “The LORD is a man of war” (15:3). God is the one who does battle. The placement of milchama in this first half of the parasha is the culmination of the plagues: God not only does wonders, but God does battle against the Egyptian oppressor as well. It also hearkens to the ending of the parasha, when Amalek comes and makes war, vayilachem, against Israel. Here the people do have to take matters into their own hands. But they are also still dependent on God, as victory requires that Moses hold up his arms for the duration of the war. The people are not entirely dependent on God, but God is still very much involved in their battles. The eternal war against Amalek will be one fought by Israel on God’s behalf. In the middle of the parasha, we find the same root–lamed, chet, mem–but with a different meaning. “In the desert the whole community grumbled against Moses and Aaron. The Israelites said to them, ‘If only we had died by the LORD’s hand in Egypt! There we sat around pots of meat and ate all the bread (lechem) we wanted, but you have brought us out into this desert to starve this entire assembly to death'” (16:2-3). This complaint results in God providing manna, which is here referred to as lechem: “Then the LORD said to Moses, ‘I will rain down bread from heaven for you'” (16:4). In fact, over the course of chapter 16, the word lechem appears eight times–signifying its centrality to the narrative. The juxtaposition of these two words that look identical, lechem and milchama, bread and war, is striking. Hasidic thinkers, including the Kedushas Levi and Reb Shneur Zalman of Liadi, have picked up on the similarities in the words in order to understand the relationship between them more deeply. The latter explains that every time we eat, a battle takes place between the holy and the unholy. Our eating can become an act of sanctification, reflection, and improvement; or it can become an act of baseness, coarseness, and vulgarity. If we take the time to prepare, to focus, and to make our eating purposeful and intentional, we can make the act into one of holiness. But if we eat quickly, inhaling our food and failing to acknowledge its significance, then we are no more than animals satisfying our base desires. We can make one more observation: the centerpiece of the story of the manna is Shabbat. The manna would appear six days a week, and on Friday a double portion would appear. On Shabbat there would be none–Friday’s had to suffice. Thinking of the wordplay between lechem and milchama, we can also consider that Shabbat is a time when we should be at peace, a time when our entire awareness–in food, clothing, behavior, and time itself–is no longer in a state of milchama, but in a state of lechem mishneh, a double portion of bread. On Shabbat we aim to live without the battles of the workweek, and instead transform them into a source of sustenance. I had a powerful conversation with a student yesterday, the kind of conversation that reshapes things whose form has long felt static, and connects things that have been separate. Our conversation centered around what I’ve come to feel is the she’elah ha-she’elot, the question of questions: Where do you feel at home? We had been talking about Abraham Joshua Heschel, and the idea of immanence and transcendence: Is God in the world or apart from it? When and how do we sense the presence of God? And if God is separate from the world, how do we have an intuition of God’s being in it? As we explored the question and shared our personal stories about moments when we experienced an awareness of the divine, I observed that for me many of these questions revolve around the idea of home. Regular readers of know that I often reflect on the way in which we draw boundaries, deciding what is in and what is out, what is same and what is different. And I find that the boundaries we draw are the thresholds of home. From here we made a critical move, observing that his relationship with Judaism was very similar: he feels proud to be Jewish, he identifies as Jewish, but he doesn’t feel like he has the education or level of commitment to really be called Jewish. In short, he doesn’t feel Jewish enough. And then we both observed that by reflecting on his Jewish identity through the lens of his urban/suburban identity, we hit on an entirely new understanding of the term “suburban Jew”—someone who feels attachment to Judaism and the Jewish people, but is still at a remove from it, without skin in the game. Parshat Behar (Leviticus 25:1-26:2) weaves together the people of Israel, the land of Israel, the Torah of Israel, and God the Creator in a powerful way. “When you come into the land that I give you, the land shall keep a Sabbath to the Lord.” (Lev. 25:2) Rashi observes that the Shabbat spoken of here “is like the Shabbat of Creation.” The institution of the sabbatical and Jubilee years is an elaboration of the Shabbat that informs our whole orientation to time and space, “the culmination of the creation of heaven and earth,” as we call it in the Friday evening prayer service. Shabbat, the sabbatical year, and the Jubilee year all point us toward God’s own words: “For the earth is mine, and you are dwellers and sojourners with Me” (25:23) and its analog, “For the children of Israel belong to me. They are my servants, whom I brought out of the land of Egypt” (25:55). Our land, our bodies, our beings are of the earth but separate from it, immanent and transcendent at the same time—an image of God. The great question for both God and humans, from Creation onwards, is, What is home? God seeks a home on earth: “And they shall make me a sanctuary that I may dwell among them” (Ex. 25:8), a home that depends on us to create it. Likewise we humans need home, in space and time. Our notion of home is constantly being challenged, renewed, and remade as we leave home, long for home, come home, bring guests and new family members into home, and build homes together. Parshat Behar is a rich exploration of what it means to be at home in all these dimensions. Emor 5771: What’s unique about holiness? Parashat Emor continues the discussion of holiness that has preoccupied much of the book of Leviticus. Unlike last week’s Torah portion, Kedoshim, it focuses not on a wide range of discrete subjects, but on a few large issues: relationships, sacrifices, and time. The parasha begins with the instruction to the priests that they are generally prohibited from coming into contact with a human corpse, but they may do so for immediate relations. It then discusses the physical completeness—perfection is an apt, but more loaded translation—necessary both for the priests and the animals offered as sacrifices. Finally the parasha takes up holiness in time, namely Shabbat, the festivals, and Rosh Hashanah and Yom Kippur. What links all of these pieces together is the emphasis on kedusha, holiness or separateness. The Torah insists on kedusha in all of these dimensions: relationships, space, material objects, and time. On one level, this is a radical notion, that we can apply such a mental or spiritual construct throughout the Creation. There is nothing inherent in anything created that would suggest that it is different or special or holy. Kedusha is in the eye of the beholder—you have to believe it to see it. So when the Torah tells us that holiness applies across all elements of the world, we have to recognize what a bold claim that represents. On the other hand, perhaps it isn’t so radical after all. As infants we begin to categorize and recognize along the lines of sameness and difference. All of language, the mental space within which we inhabit the world, is predicated on our ability to call something by a name. And our sense of awe or wonder is evoked when we reach the limits of that ability, when we encounter the ineffable, the unnamable, the holy. Abraham Joshua Heschel writes that “we have a certainty without knowledge… In moments of sensing the ineffable, we are as certain about the value of the world as we are of its existence.” This is as basic to us as recognizing the people and objects in our lives, even if we have forgotten how to recognize such a moment itself. In Heschel’s telling, everyone is capable of experiencing radical amazement, of encountering kedusha—we simply have to open our eyes to it and nurture our ability to sense it. Rabbi Yitzhak Hutner, in his Pachad Yitzhak, teaches that the covenant of with Noah and the covenant of Sinai do not contradict one another. Sinai is rather an elaboration of the covenant with Noah, except in one respect—our relationship with time. Rav Hutner cites the verse, “As long as the earth endures, seedtime and harvest, cold and heat, summer and winter, day and night will never cease” (Gen. 8:22), and in particular its final words, lo yishbotu—here translated as “will not cease.” But he links these words with the Jewish legal prohibition to a non-Jew of fully observing Shabbat: lo yishbotu means, They may not make Shabbat. Thus when the commandment is given to the Israelites at Sinai to make Shabbat, an element of the previous covenant with Noah is overturned. This is distinct. While Noahides are enjoined not to murder, not to steal, not to practice idolatry—all items which are reaffirmed in the covenant at Sinai—in the area of time something fundamentally shifts at Sinai. The idea of kedusha, of sacredness in time, becomes a unique Jewish heritage. In this lies one of the basic animating tensions of Jewish life, both today and throughout history: the extent to which our practices and rituals are rooted in basic human realities on the one hand, and are total innovations on the other. According to Heschel (and others like Rudolf Otto), holiness is a pre-cognitive truth of human life: all human beings can sense that which is beyond words, that which is holy. But for Rav Hutner (and, to be fair, for Heschel as well) there is a uniquely Jewish aspect to kedusha, particularly in time, but also in all the other dimensions to which it applies: space, relationships, the material world. Kedusha, in our holidays, in the land of Israel, in the city of Jerusalem, in our relationships with other Jews both within and beyond our immediate families, is the unique aspect of our language as Jews. As its name implies, it is what makes us unique and special—not better, but unique.